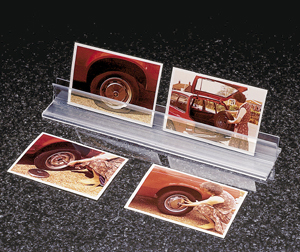 Free standing on tabletop or to fit comfortably in your hand. 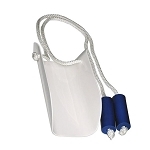 The Hands Free Card Holders include 2 blue plastic playing card holders that will hold up to 15 cards securely, while allowing cards to be easily removed or inserted. 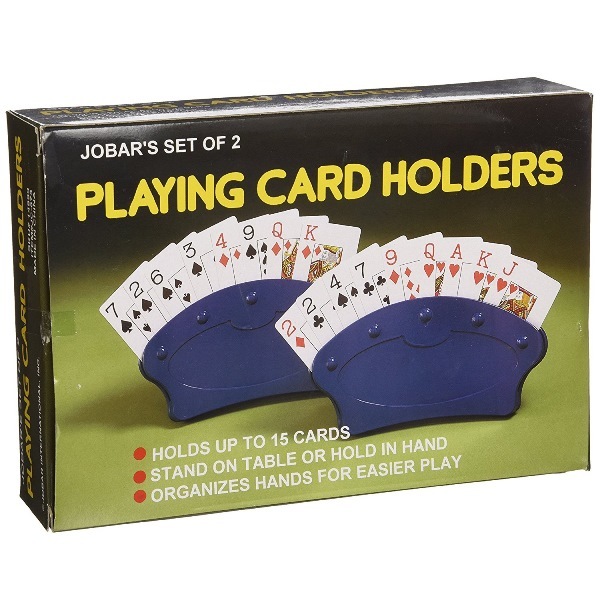 These holders make playing cards easier for people with arthritic hands. 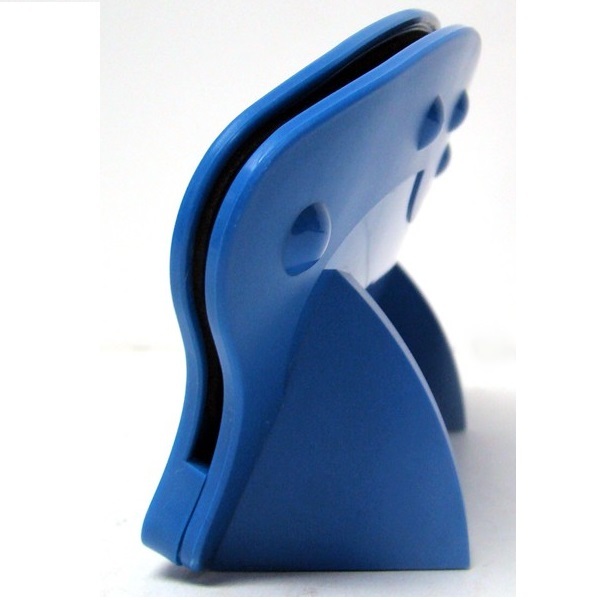 The Hands Free Card Holders are designed to be free standing on a tabletop or to fit comfortably in your hand. These durable card holders have a no-slip felt grip inside and expand to comfortably hold even the thickest cards. 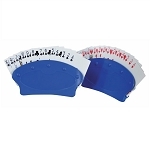 Each holder can fit approximately 15 narrow bridge size cards, or wide poker size cards. 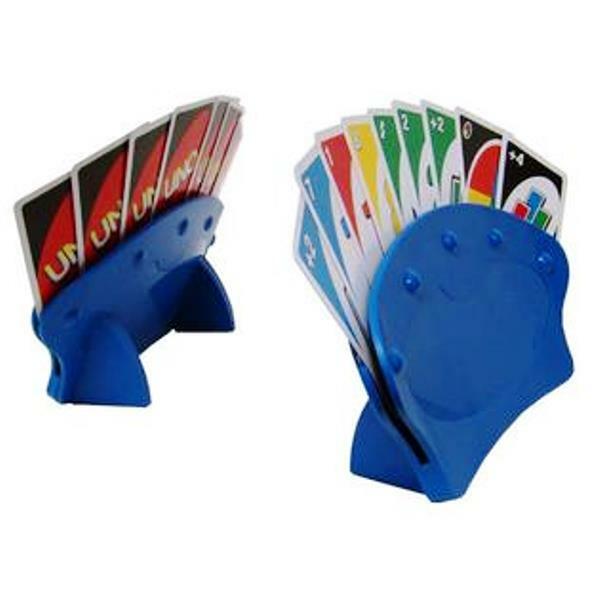 Each holder features two "stands" on the back that allow you to place your cards on the table without them falling over. Made from high-quality blue plastic, these playing card holders measure 8.5 inches wide, 2.5 inches deep, and 4.5 inches tall. 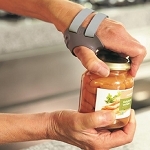 Hands Free Card Holders help people with arthritis enjoy playing card games. Measure: 8.5 inches wide, 4.5 inches high, 2.5 inches deep. These card holders are wonderful. They hold plenty of cards securely and allow me to play cards comfortably. I love them! it works very well. I am so glad I can play cards with my arm in a cast. My son is in rehab, recovering from a stroke and he loves this. His left hand is much more mobile than his right and he now plays cards all the time! Used to complain that his wife could see his cards when she helped him. 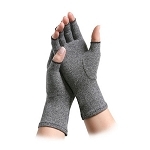 Q: Is this item in stock or not? I ordered it, but it was cancelled. 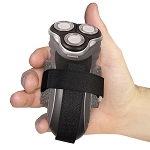 A: The Hands Free Card Holders are in stock. 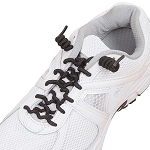 Call Customer Service at 877.750.0376 and a representative should be able to help with why the order was cancelled. Q: What is the dimensions? Wide and Tall? 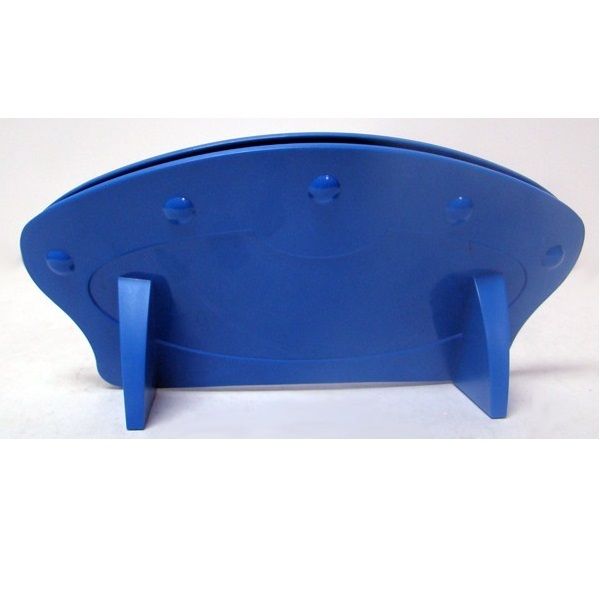 A: This particular Hands Free Card Holder measures 8.5 inches wide, 4.5 inches high, 2.5 inches deep. Q: how many cards will this hold? if it good for bridge (13 cards)? how easy is it to put the cards in the holder w/left hand when one is r/handed? 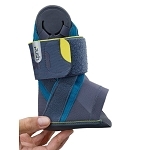 A: The Hands Free Card Holders will securely hold up to 15 cards. 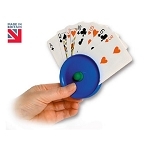 The cards simply slide into a slot and can be placed easily with either hand because it can stand on its own on a flat service. Q: Would card holder be good for canasta? A: As long as you don't have more than 15 cards in hand at a time this card holder should work. Q: How wide is the holder? 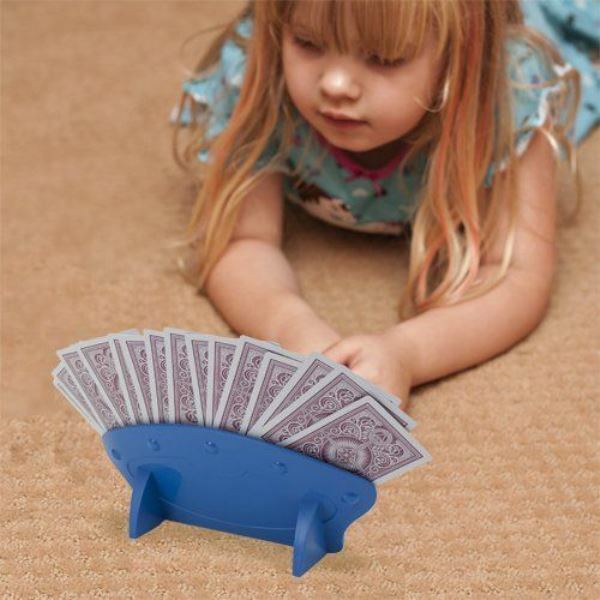 I'm interested in using a hands free, index card holder for games in my classroom... rather like a Go Fish Game using vocabulary words written on each card. I would need it to hold up to 5-7 3x5 index cards. Thank you! A: The Hands Free Card Holder measures 8.5 inches wide, 4.5 inches high, 2.5 inches deep. If the index cards are placed vertically you should be able to get 5 cards in the card holder with some overlapping of the cards. 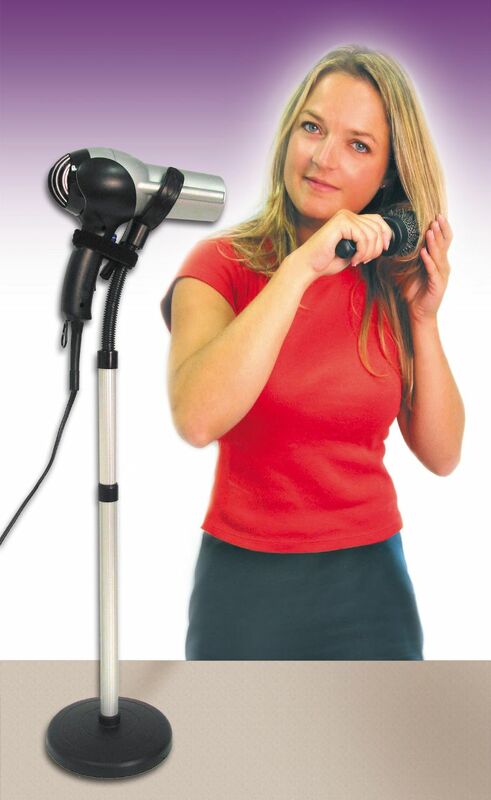 Q: I am purchasing this for my sister who had a double stroke and has regained some arm movement. Do these stay firm on table or can they be tipped easily? How are cards placed in the holder? Her fine dexterity is limited. She does feed herself. Thank you. A: The base of the Hands Free Card Holder is 2.5 inches. 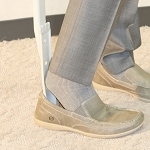 It should not tip easily on a flat surface because of it's wide base. There is a slot that the cards slide into, holding up to 15 standard size playing cards. Q: Do these card holders come in any other colors? 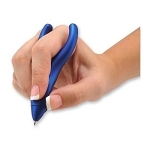 A: This particular card holder only comes in blue but Product # ABD300 - CardCaddy comes in red.